Our innovative Needle-Free IVF protocol does not require injections or blood draws. Look: The patient’s ovaries are stimulated into producing multiple egg follicles through the use of oral fertility medications. That’s not all. Hormone levels are measured through urine and saliva tests. This holistic IVF protocol eliminates the fear, pain, and anxiety many patients experience with injections and blood draws. Needle-Free IVF also lowers the patient’s cost of fertility medications. Through Needle-Free IVF, patients are treated in a less-invasive manner. In Very Well Family (8/20/18) – Dr. John Zhang explains that producing too many eggs with large doses of injectable fertility drugs can backfire and cause medical problems, such as PCOS. Look: Our Mini-IVF protocol is a simple, convenient, and patient-friendly fertility treatment protocol calling for a minimal amount of stimulating fertility medication injections to produce 3 to eggs. Bottom Line: A woman’s body no longer needs to be forced into producing multiple eggs to achieve a successful IVF pregnancy. A Conventional IVF protocol calls for daily injections of hormone medications to produce multiple egg follicles – 10 – 15 one cycle. These egg are retrieved surgically and then fertilized in vitro for transfer to the woman’s uterus. Excess quality embryos may be cryopreserved for future Frozen Embryo Transfer (FET) procedures. Our IVF laboratory is comprised of a powerful air filtration system to facilitate the best conditions for success of procedures and research. We have one of the largest and most powerful air filtration systems in the world. Bottom Line: This quality air filtration system provides optimal clean air pressure in every laboratory process. It is important to work with a fertility doctor having the expertise required to design a customized IVF treatment protocol meeting your personal needs. To schedule your initial consultation with Dr. John Zhang at New Hope Fertility Center – call 917.525.5496.
drjohnzhang, March 15, 2019. No Comments. Category: Needle Free IVF. You no longer have to undergo painful shots and inconvenient blood draws to achieve a healthy pregnancy through IVF. What’s new in fertility treatment? Our team of fertility specialists made news in the NY Post with the launching of Needle-Free IVF – a holistic method of treatment which promises pregnancy success without shots and blood draws. Why is this news? Our Needle-Free IVF protocol was researched and developed in response to our patients’ feedback concerning the daunting cost, pain, and inconvenience of Conventional IVF. Women who are afraid of needles are particularly happy to hear about the new technique – (NY Post). They are very, very excited – they’re happy that there are no shots. It is important to work with a fertility specialist having the research and clinical experience required to design a customized IVF treatment plan meeting your personal medical needs. To schedule your initial consultation about Needle-Free IVF with Dr. John Zhang at New Hope Fertility Center – call 917.525.5496.
drjohnzhang, January 8, 2019. No Comments. Category: Needle Free IVF. Our revolutionary Needle-Free IVF protocol has changed the entire landscape of IVF treatment. It is a simple, convenient, and patient-friendly IVF protocol. A woman’s body no longer needs to be forced into overproducing eggs to achieve a successful pregnancy. It is important to work with fertility doctor having the research and clinical experience required to design a customized IVF treatment plan meeting your personal medical needs. To schedule your initial consultation with Dr. Zaher Merhi at New Hope Fertility Center – click the icon below – or call 917.525.5496.
drjohnzhang, July 31, 2018. No Comments. Category: Needle Free IVF. Since being introduced in the 1970s, Conventional IVF treatment has relied heavily upon high dosages of fertility medication – as many as 60 injections per cycle. Look: New Hope Fertility Center is the first program in the world to offer Needle-Free IVF. Why does this matter? It is now possible for women to undergo IVF without the need for injections. Needle-Free IVF. We have achieved another first by introducing Needle-Free IVF. This revolutionary holistic IVF protocol eliminates the fear, pain, and anxiety many patients experience with injections and blood draws – while at the same time lessening the cost of fertility medications. We are proud to offer our patients a new, simple and convenient Needle-Free IVF treatment protocol. The best part? This revolutionary IVF protocol eliminates the fear, pain, and anxiety many patients experience when having to inject fertility medications with needles. Our Needle-Free IVF protocol stimulates a woman’s ovaries into producing multiple egg follicles through the use of oral fertility medications. That’s not all. Hormone levels are measured through urine and saliva tests during a Needle-Free IVF cycle. Why Needle-Free IVF is patient-friendly. drjohnzhang, May 15, 2018. No Comments. Category: Needle Free IVF. 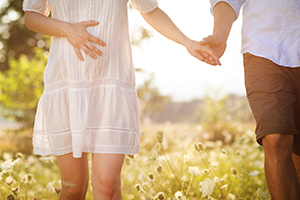 We are proud to offer our patients a new, simple and convenient IVF treatment protocol. 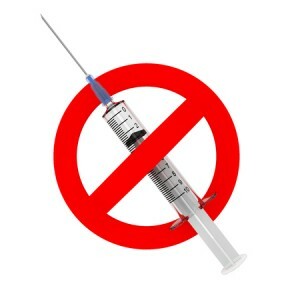 Look: Needle-Free IVF! This revolutionary IVF protocol eliminates the fear, pain, and anxiety many patients experience with needles. Our Needle-Free IVF protocol stimulates a woman’s ovaries into producing multiple egg follicles through the use of oral fertility medications. The best part? Hormone levels are measured through urine and saliva tests during a Needle-Free IVF cycle. Depending on the woman’s medical needs, an oral fertility medication – typically Clomid – is prescribed to gently stimulate her ovaries into producing multiple eggs. Synarel is delivered nasally 36 hours prior to surgical egg retrieval. drjohnzhang, January 11, 2018. No Comments. Category: Needle Free IVF.